This year the Anti-Defamation League of B’nai B’rith (ADL) celebrates 100 years of open hatred and bigotry against the freedom aims of Black people. It is an organization whose foundation and history are as racist and malevolent as any secret society, and it has proved itself to be dedicated to maintaining white supremacy for all time. Last week, its grand ruler Abe Foxman—whose life work bears an uncanny resemblance to Dr. King’s notorious nemesis, Birmingham’s Eugene “Bull” Connor—continued his attack on Black freedom by derisively referring to the Honorable Minister Louis Farrakhan’s monumental year-long series The Time and What Must Be Done as “52-weeks of hate.” Today, by Allah’s grace, we have clear guidance that allows us to decipher the tricks of an open enemy through the window of history and the sunlight of truth. To better see the ADL going forward, let us first look backward—more than 52 weeks—to a birth record that goes back 170 years. In October of 1843, twelve Jewish merchants gathered in New York to establish the ADL’s parent organization B’nai B’rith. The Hebrew words mean “Sons of the Covenant,” a title that refers to the bond God established with the Children of Israel in Genesis 15:13-14: And he said unto Abram, Know of a surety that thy seed shall be a stranger in a land that is not theirs, and shall serve them; and they shall afflict them four hundred years; And also that nation, whom they shall serve, will I judge: and afterward shall they come out with great substance. The claim of these white Europeans to be the biblical Chosen People has been definitively disproved (See Shlomo Sand’s book The Invention of the Jewish People); nevertheless, these B’nai B’rith founders chose to adopt that mantle on behalf of American Jews. They posed as “strangers” in their adopted land, but Jews were so well entrenched on the profit side of the slave system that they joined Pharaoh’s team and embraced African slavery without reservation. B’nai B’rith organizers put the “covenant” aside and established branches among the many Jewish planters and merchants throughout the South. By the time that civil war broke out in 1861, Africans had faced affliction and slavery for 306 years. But when these ”Sons of the Covenant” met the “Sons of the Confederates” they became one. So many Jewish merchants were collaborating with the Southern Confederates that a Lincoln administration official deemed the B’nai B’rith to be a “disloyal organization” that “help[ed] the traitors.” Throughout the history of Black people, B’nai B’rith leaders are conspicuously found aiding Black enslavement—not Black freedom—and the 512-page Nation of Islam book The Secret Relationship Between Blacks and Jews, Vol. 2, makes this abundantly clear. “Sons of the Covenant” were slave owners, plantation owners, and bankers financing the purchases of slaves. For another 100 years after slavery Jewish planters, moneylenders, and merchants—dubbed by scholar W. E. B. Du Bois as the “heirs of the slave-barons”—continued to enslave Black people, this time through sharecropping and debt peonage. Southern senator Zebulon Vance dedicated his life to ensuring that after slavery Blacks would never rise in any capacity above servant and menial laborer. In Raleigh, North Carolina, the B’nai B’rith has held an annual wreath-laying ceremony at his statue, with Nathan Straus, the Jewish head of Macy’s department store, financing it. Arkansas governor Jeff Davis—whose most “trusted lieutenant” was B’nai B’rith president Charles Jacobson—publicly defended the lynching of Blacks. He and Jacobson supported the Arkansas Streetcar Segregation Act of 1903, which established the same discrimination Rosa Parks would fight in Alabama more than a half century later. A B’nai B’rith member helped create and install Birmingham’s inferior “colored” school system, while all of that city’s wealthy Jewish business owners practiced the harshest forms of segregation. The B’nai B’rith was the staunchest supporter of President Woodrow Wilson, even though he systematically eliminated Blacks from government jobs, just as Adolf Hitler would do to the Jews in Germany. Meanwhile, the national president of B’nai B’rith, Simon Wolf (1836–1923), was speaking publicly and proudly of the true Covenant of Jewish power: “We all know that the first bankers of the world—Rothschilds—are Jews; we know they control not only the money market, but also the political destiny of the European world…” Mr. Wolf could have added that the Rothschilds’ immense fortune was built totally on that family’s marketing of the many products of the slave trade—cotton, sugar, coffee, and tobacco, among them. Blacks today might be shocked to pull off the hood of a Ku Klux Klansman and find a yarmulke (a Jewish skull cap) underneath. But B’nai B’rith public relations director Bernard Postal wrote that “Jews Played a Part in All of [the] Klan-Like Organizations…” He revealed that “The manufacturers of the ubiquitous Klan night-gown have frequently been Jews.” Chinese Americans would probably be interested to know that B’nai B’rith official Isidor N. Choynski attacked the Chinese for taking jobs from Caucasian workers: “If ever there was a blot on American civilization it is this Chinese curse,” he wrote in the major Jewish newspaper American Israelite. The Japanese fared a little better: “[T]he Japs look decent and are far preferable to the heathen Chinese; yet [they are] as close and calculating as their moon-eyed cousins.” And so with its demonstrated record of demolishing Black freedoms, the B’nai B’rith went ahead and established a new division in 1913, calling it the Anti-Defamation League of B’nai B’rith, a group its founders claim would be dedicated to confronting “anti-Semitism” in America. Jewish child murderer Leo Frank, tried to blame his crime on two innocent Black men. By the time Abe Foxman took over in 1987, the ADL had become successor to J. Edgar Hoover’s ruthlessly racist COINTELPRO operation. The ADL was soon spying on 12,000 individuals and more than 950 groups. The NAACP, the Nation of Islam, and even Pres. Nelson Mandela and his African National Congress (ANC) were among the many, many victims of ADL espionage. And what happened to the ADL’s original mission? In 2009, Israeli documentary filmmakers followed Foxman and his staff around for a few weeks to try to chronicle this alleged “anti-Semitism.” A fascinating sequence shows a nervous ADL official at a computer vainly trying to produce a single case of “anti-Semitism” for the filmmakers, even though the ADL had claimed 1,500 incidents that year! The Israeli-produced film titled Defamation remains the most devastating exposé of the ADL’s farcical operation on record. So this is the time-honored and white supremacist legacy of the Anti-Defamation League of B’nai B’rith. It teaches Blacks two things: (1) that no people with such a racist legacy could possibly be “The Sons of the Covenant”; and (2) that The Most Honorable Elijah Muhammad was correct: “The enemy cannot be but a hypocrite who will now try to change to offer you friendship. The same enemy who fought and killed you yesterday cannot turn overnight and become your friend.” Abe Foxman has stuck out his hypocritical hand of “friendship” to Blacks, his fist full of 170 years of wicked and racist deception. 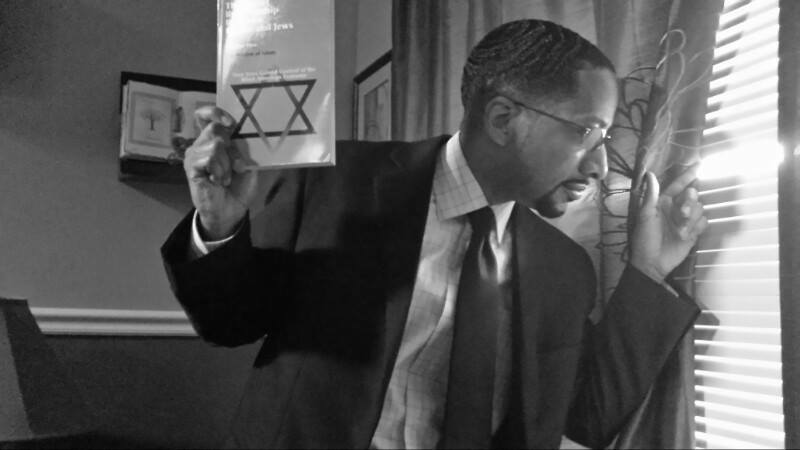 The ADL targets the Honorable Minister Louis Farrakhan because he knows their well-documented history and has revealed it to the world. The Minister has also revealed the true identity of the Children of the Covenant with these words: “The Honorable Elijah Muhammad said that Almighty God Allah revealed to him that the Black people of America are the REAL Children of Israel and we are the choice of God and that unto us, He will deliver His Promise.” We can be Allah’s Chosen or the Jews’ Deceived. The choice is now in our hands.